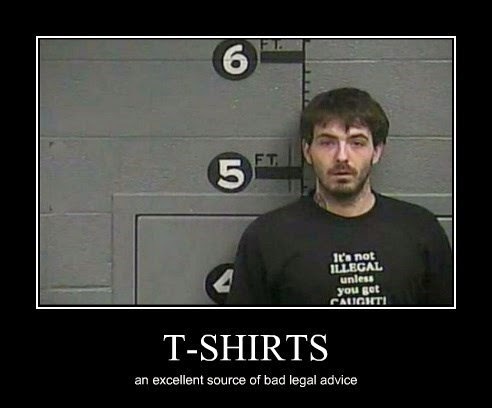 Maybe this shirt has IANAL (I am not a lawyer) on the tag next to the washing instructions. The Captchas Have Become Sentient! Do You Have A Ransomware Insurance Policy? Jimmy Kimmel : What Is Your Password? Now Who Do I Disagree With? Cut & Paste Any Good Links Lately? Whatever Happened To "Private Parts"? I Can Has Fresh Undies? And Get Off My LAN!